Are you planning to buy bike lights for night riding? Well, look no further as I’ve done all the research work for you, picked and reviewed the best front lights you can buy today. 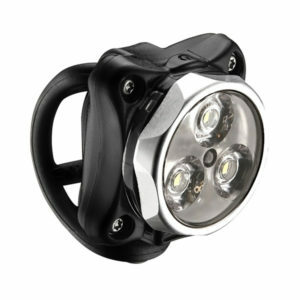 If you ride a lot at night and in the dark, a good and reliable light set is a must have. The front and rear lights ensure you can see and be seen by other road users. But before you jump straight into buying, there are many things to consider such as the brightness levels, number of light modes, battery life, material used, quick release mounting types, beam patterns and more. Here are 15 of my best bike lights picks. If you’re looking for lights that provide the most value for your money, look no further than these 3 below. They typically range between 500 to 700 lumens, bright enough for road biking and commuting. 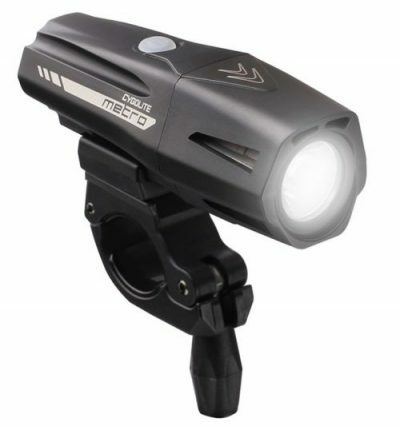 The Cateye Volt 500XC is great bike front light for those who have a tight budget. It’s also among of my 3 favorite light models below $50. As far as the Cateye brand is concerned, you’ll be getting top-notch Japanese quality and technology. With the Cateye Volt 500XC, Cateye has updated its mounting design. It now uses rubber strap which is much easy to install and remove as compared to the previous plastic strap which was cumbersome and prone to breaking. The Light and Motion Urban 650 is the smaller version of the popular Urban 900 which is available with the rear light, in a combo light set. The only significant difference the 2 models is the brightness level. At 650 lumens, it’s ideal for everyday riding through well lit streets. Other than that, you still get all the good stuffs Light and Motion is well known for; FL-1 certified, CREE LED and a durable, waterproof body but at a lower price point. Don’t be fooled by this small and compact headlight. It’s seriously bright for its size at 500 lumens. Couple this with the Enhanced Maximum Optical Reflection lens, you’ll get built-in side visibility which is important for riding around urban areas. If you’re particular about colors, there’s good news for you. There’s a silver color model besides the standard black to choose from. These are lights that are small enough to fit into your palm. Their brightness is between 80 to 120 lumens and are best used during the day to increase your visibility. 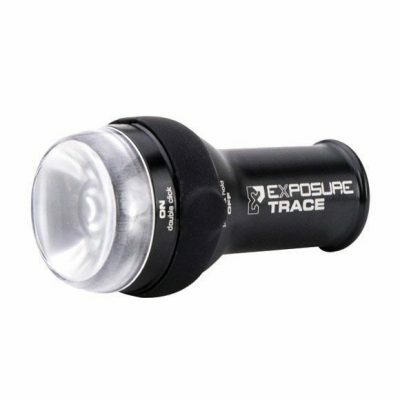 Exposure Lights is a British brand known for manufacturing high quality bike lights. At only 57mm long and weighing a mere 35g, the Trace is one of the smallest headlight available today. But don’t be fooled by its size. It still packs a punch at 110 lumens. It’s best used during the day especially when riding around in urban areas. With its Optimum Mode Selector (OMS) feature, you can easily toggle between 3 modes to adjust the brightness vs battery life to your needs. The body is made of aerospace quality, CNC machined aluminium to allow for efficient heat transfer and increased durability. The Zecto Drive has been around for a good 4+ years by now and continues to be very popular among cyclists. 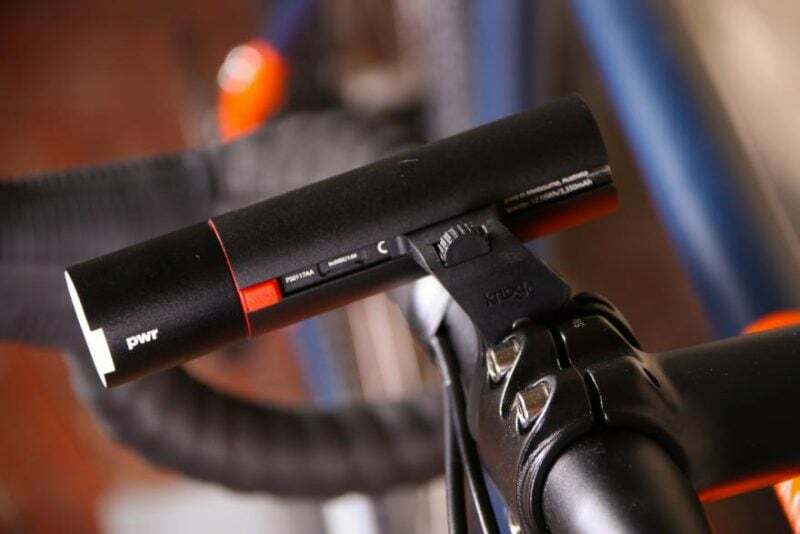 If you’ve been following Lezyne, you’ll know that they manufacture some of the best cycling accessories today. As with most things that work flawlessly, if it ain’t broke, don’t fix it. 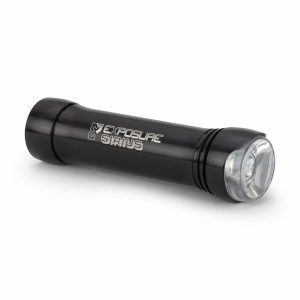 This little bike light packs 250 lumens and has a run time of 4.5 hours on a flashing mode, ideal for use during the day time. 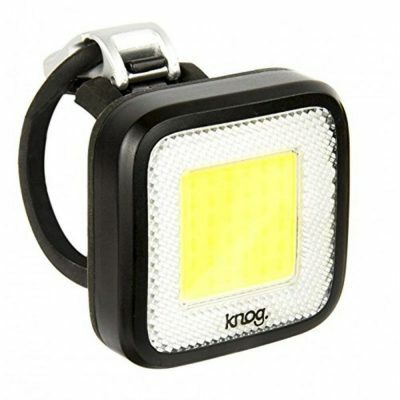 The Kid Grid is part of Knog’s Blinder Mob’s headlight line up. What’s unique about the Kid Grid is it uses 16 Surface Mounted LED lights that produces 80 lumens at its maximum brightness. It comes with 5 light different modes which you can toggle between Steady High, Steady Low, Strobe, Fancy Flash, Eco Flash. Another unique feature is its cable free charging, where you can insert the light directly into a female USB charging cable. If you’re fussy over how the bike light look on your bike, these are for you. Not only they look good and pro, they can be mounted beneath the bike computer so that they don’t clutter the top of the handlebars. The Sirius is a great looking headlight from British brand, Exposure Lights. It’s now in its 7th iteration (hence the MK7), so you can be sure that a lot of work has been done to improve it based on the cyclists’ feedbacks. It’s body is constructed from an anodised aluminum casing, making it very durable. At full power, the single CREE shines at 750 lumens, but with a shorter burn time of 1.5 hours. As you tone down the brightness, the burn time increases up to 36 hours for flashing mode. There are all together 7 modes for you to choose from including High, Medium, Low, Flashing and Day Bright which is useful to ensure you’re seen by other road users while riding during the day. 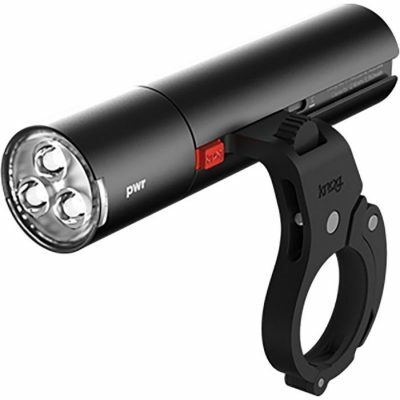 The PWR is Knog’s latest addition to their already solid lineup of bike lights. With the PWR Rider, not only you’ll get 600 lumens of light output, but you’ll also get a powerbank to go with it. That’s why it’s called PWR to begin with. The battery pack can be used to power the headlight as well as charge all your other electronic devices while riding. To put things in perspective, you can charge a iPhone7 from flat to 50% and do an hour of riding at 600 lumens. Best of all, you can program the light modes to suit your needs through their ModeMaker app. These bike lights are for the tech geeks, like myself. They come with built-in intelligence and can communicate with your phone via Bluetooth. 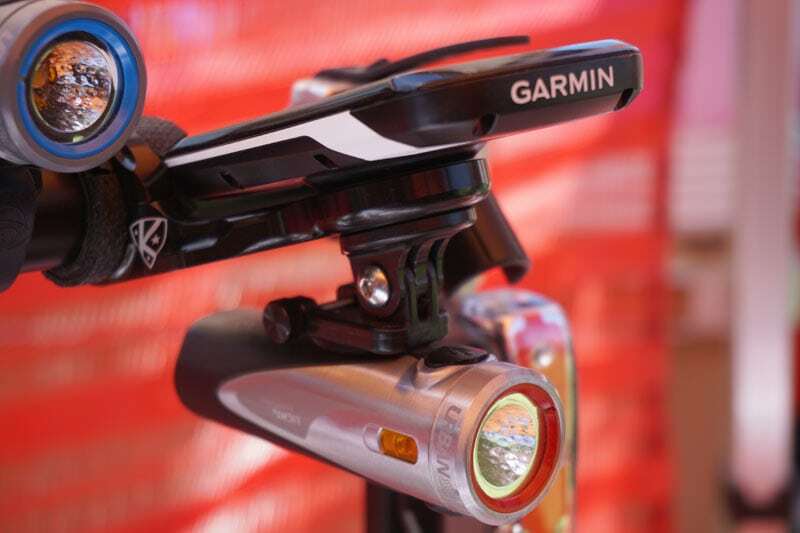 The Varia signifies Garmin’s entry into the bike front light market. 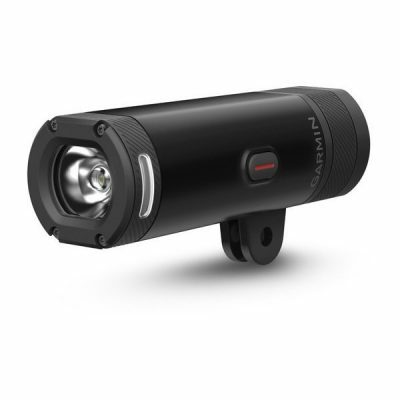 It comes with 800 lumens and 4 lighting modes – high, low, flashing and auto. Being an intelligent headlight, it pairs with the Garmin Edge computers, allowing it to adjust the light beam pattern according to your speed. The faster your speed is, the farther away it shines and vice versa. This award winning front lights from See Sense packs a lot of features in it when paired with your smartphone. Through the app, you can customise the brightness, flash patterns and modes. It also has an anti-theft alert and can send crash notification to your nominated contact. Coming in at 420 lumens, powered by 2x 210 lumens LED lights, it’s ideal for riding around urban areas. 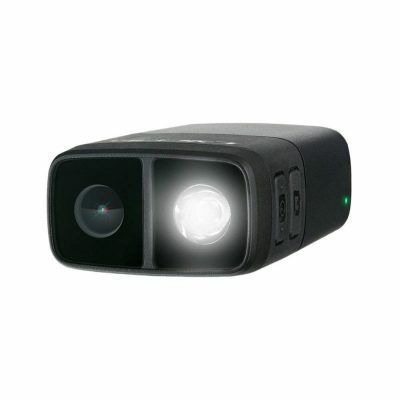 The unique thing bout the Fly12 is it combines a headlight with a HD bike camera. The ultra wide angle camera (135˚field of view) records audio and video at full HD at 1080p, 60fps. It also has a High Dynamic Range (HDR) option which allows you to record videos with amazing clarity under difficult conditions. It can connect automatically when connected to the Garmin Edge computers via ANT+, or to your smartphone via Bluetooth. The CycliqPlus software allows you to seamless overlay ride data (speed, HR, power, etc) onto the videos for quick sharing. These are among the brightest lights you can use for road cycling, typically around 1100 lumens. Of course there are brighter ones, but they’re more for off road and mountain biking. You could blind oncoming cars if you use anything above 1100 lumens on the road. The first thing you’ll notice about the Joystick is its price tag. Yes it’s expensive and for a good reason. 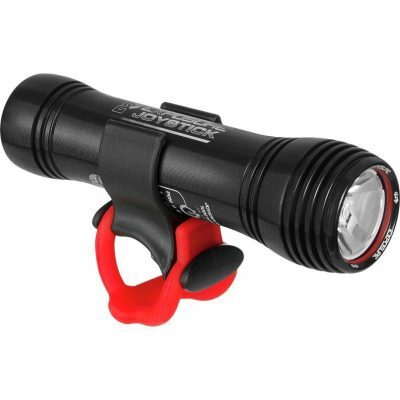 It’s a very popular among serious mountain bikers because it’s one of the few compact bike front lights that has a run time of 1.5 hours at 1000 lumens, or 3 hours at 500 lumens, which will get you through most of your road cycling in the dark. This is achieved through a patented, intelligent electronic circuitry that regulates light output, thermal management and beam patterns. Couple this with a lightweight and durable CNC aluminium body and mounting, you have a real winner. A premium, super bright headlight by NiteRider with a OLED display on the top. The multifunctional display on the NiteRider Lumina has a built-in battery indicator that shows you exactly how much battery is left in percentage and estimated run times so you don’t have to worry running out of battery juice again. This light is powered by the industry leading CREE LED lights with a wide beam pattern. 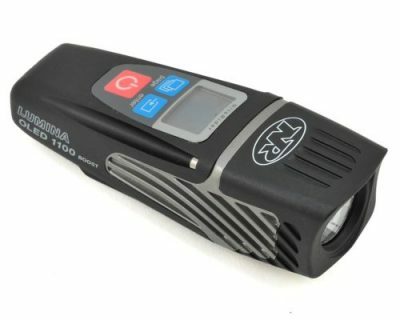 This Cygolite Metro Pro 1100 high end bike front light from Cygolite is the first to exceed 1000 lumens with a single LED which is quite an achievement itself. 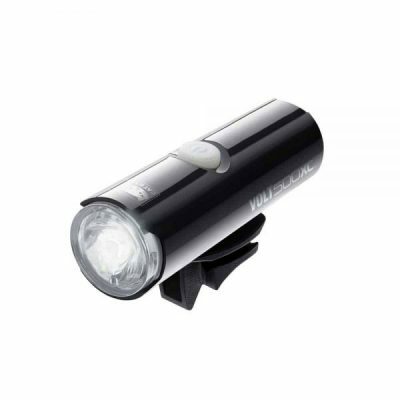 At 1100 lumens, the Cygolite Metro Pro is suitable for both on and off road riding. There are 9 lighting modes to choose from; more than enough to cover all your riding needs. The unique thing about Cygolite is the SteadyPulse mode where the LED light shines a solid beam pattern and a pulse simultaneously to alert oncoming vehicles. Bike light sets consist of both front and rear lights. Very often, this is ideal for someone starting out and looking to for a 2 in 1 solution. 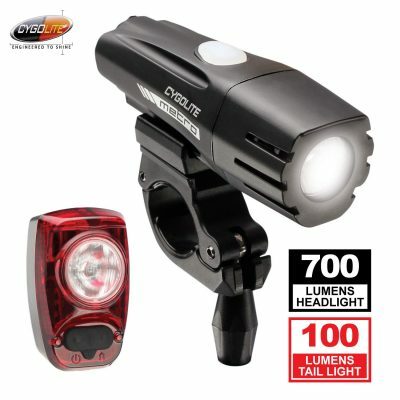 If you’re looking for a bike light set, then look no further than the Cygolite Metro 700 and Hotshot 100 combo. Together, they represent the best value for money bike light set available today. The Metro 700 headlight comes with 6 light mode options, including the Day Lightning mode to ensure you’re seen during the day. On the other hand, the Hotshot 100 is arguably the most popular rear light among our readers here. You won’t find a high quality, 100 lumens rear lights at this price. Most, if not all will cost you more than this light set itself. I’ve seen many people make this mistake during their buying process. They go for the one with the highest lumens rating that they can afford. While this might be the safer option to go with, it’s not always the right option and by knowing how lumens work, you might even save some money. A higher lumens count doesn’t necessarily means a brighter bike light. PRO TIP : You don’t need lights with the HIGHEST lumens rating. 99% of bike light manufacturers today specify the brightness in terms of Lumens, except maybe for a German company, Busch & Muller. While there is nothing wrong with using Lumens, there is another way to do it, which is better but less talked about. Let me introduce you to the term Lux. What’s a Lux and why is it better interpretation of the brightness? Imagine the car salesperson telling you that the gas tank of the car you’re buying is 20 gallons. Would you know how far 20 gallons will last you? It depends on several factors, like the engine capacity right? Lux is the measure of a light’s intensity and it affects what you see. Lumens : The unit used to represent the amount of light, aka brightness emitted by a single source. Lux : The unit used to measure the amount of light in a specific area, a certain distance from the source. In other words, it’s a measure of the light’s intensity. 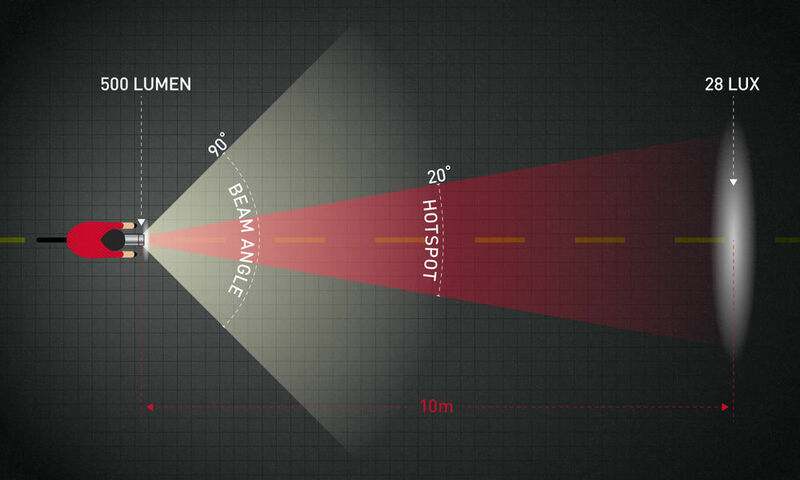 Beam Angle : The coverage of the light beam in front of you. A higher beam angle results in a diffused beam pattern (lower lux), while a lower beam angle results in a focused beam pattern (higher lux). A beam angle of around 20-30 degrees is what you should be looking for. Like I mentioned in the section above, most bike light manufacturers specify the brightness in lumens. Take 2 different light set with the same amount of lumens and their visibility range could differ. It all depends on whether the light beam’s patterns, narrow or wide. PRO TIP : For a headlight where you can clearly see 40-50 feet in front, the lumens count usually falls somewhere between 300 to 500 lumens. Let’s assume for a second that you ride at 15mph and using a light with 50 feet of clear visibility. With that, you’ll have around 2.27s of reaction time. That’s just about enough time for you to react to any hazards in front. The slideshow below shows you the changes in light coverage as the lux reading goes up. Photos credit to Busch & Muller. Did you notice that most bike lights in the market today use LED or Light Emitting Diodes? Energy Efficient : High quality LED lights are 80-90% more energy efficient than traditional light bulbs which means that you’ll have longer battery life. Less Heat : Up to 95% of the energy in LED lights are converted to light and only around 5% is wasted as heat. Compared to traditional bulbs, which does the exact opposite – 95% into heat and 5% into light! Longer Durability : LED lights are generally don’t ‘burn out’ or simply fail. Overtime, they experience what industry experts call lumens depreciation, whereby its brightness gradually decreases. Light Direction : LED emit lights in a specific direction. This property of LED enables bike light manufacturers to accurately control the light beams to shine to where matters most. Now I don’t see any reason why you should even consider non LED bike lights! PRO TIP : Go for LED bicycle lights as they’re small, energy efficient and last forever (well, almost). Most bike headlights these days comes with at least 4 modes; the standard High, Medium, Low and Flash mode. Some goes as high as 10+ like the Knog Blinder Arc 400. From my experience, it doesn’t matter how many modes are there. It’s just a numbers game for the manufacturers to look better than their competitors. What’s more important is how you use the the light modes. It’s important that you buy headlights with Flash/Strobe mode. Most headlights today have them. But for some strange reasons, there are still lights without them. PRO TIP : You don’t need a bike light with the most number of light modes. You can still find bike lights using disposable aaa batteries today in the market. For a longer battery life and durability, I’d recommend to go with USB rechargeable batteries. Most usb rechargeable lights either use the Lithium Ion (Li-Ion) or Lithium Polymer (Li-Pro) batteries today as they are lighter, smaller and has much more capacity. You’ll be provided with a micro USB out from the box when you purchase. There were major advancement made in lithium batteries in the past 5 years so it’s just not worth the effort to keep replacing batteries, especially if you use the bike lights on a daily basis. 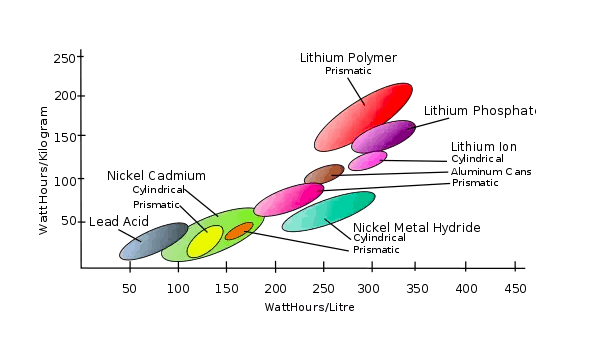 The chart above shows why Lithium based batteries are preferred, especially for small electronic devices. For the same weight, Lithium based batteries hold more charge. For the same volume, Lithium based batteries hold more charge. Size, battery capacity and battery life are relatively proportional. A longer battery life would require a larger battery capacity and hence a larger size. That’s the reason why lights with above 1000 lumens comes with a separate rechargeable battery pack. Another reason is to avoid the battery pack overheating the entire light body. What's considered a good battery life? Some lights like the Cygolite Expilion 850 takes things up a notch with a user replaceable rechargeable battery. With this, you can have the option of carrying a spare rechargeable battery if you forgot to charge. With most bicycle lights today, the 2 most popular mounting options are using straps mounts and clamp mounts. When it comes to mounting locations, there are various options available, depending on the design of the light. Most bicycle lights are still designed to be mounted on top of the handlebars as its the most straightforward way. 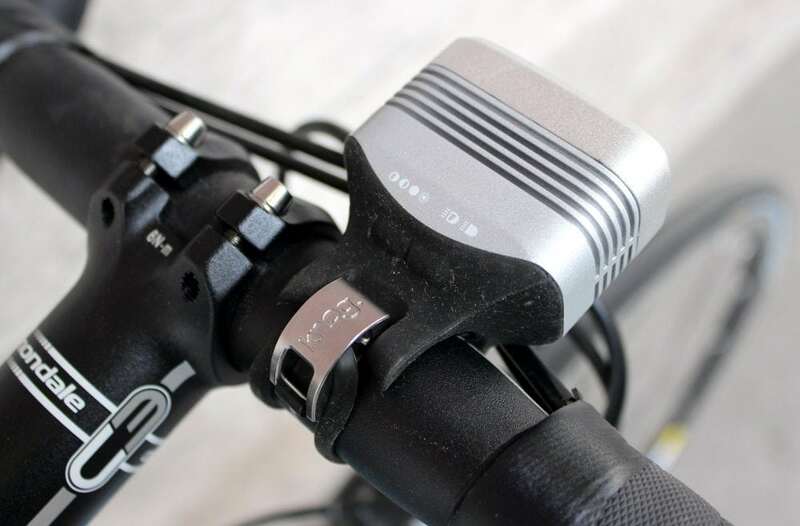 Some newer lights like the Light and Motion Urban 900 are designed to be mounted on both on the handlebars and below your cycling computer with a separate quick release mounting kit. It certainly looks better with this but it does come with a downside; it’s harder to access the light and buttons while riding. Knog came up with a creative way of mounting the light which gives you the best of both worlds. 1. 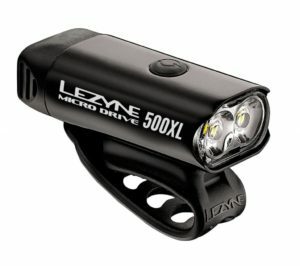 How many lumens do I need for road cycling? The ideal brightness for a bike light is between 300 to 600 lumens. 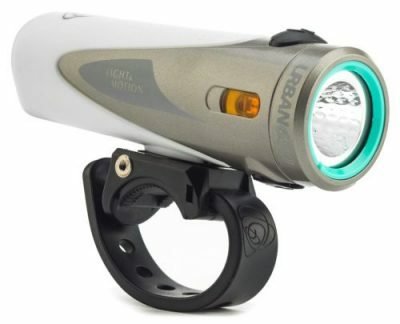 If you’re riding mostly along unlit bike paths, then you can go up to 800 lumens. As I’ve mentioned above, you don’t need the highest lumens for 2 very simple reasons. If you’re riding on the road, you could risk blinding the oncoming cars. Secondly, running on the brightest mode will significantly shorten the battery life. 2. Is it illegal to ride without lights at night? Depending on where you’re located, it can be against the law to ride your bike without lights at night. There are local bike laws in every state in the U.S. that regulates how bicycle lights are used. There are also similar laws in the U.K. and Germany. While each state might have a subtle difference between them, it’s generally accepted that you should have both active and passive lighting on your bike. For safety and visibility purposes, I strongly recommend you to use one. 3. What are CREE LED? CREE LED lights are manufactured by an American company, CREE who is the industry leader in LED lighting. It was started back in 1987 in North Carolina. Today, CREE manufactures top quality lights and they are widely used in indoor, outdoors and to LED lights.